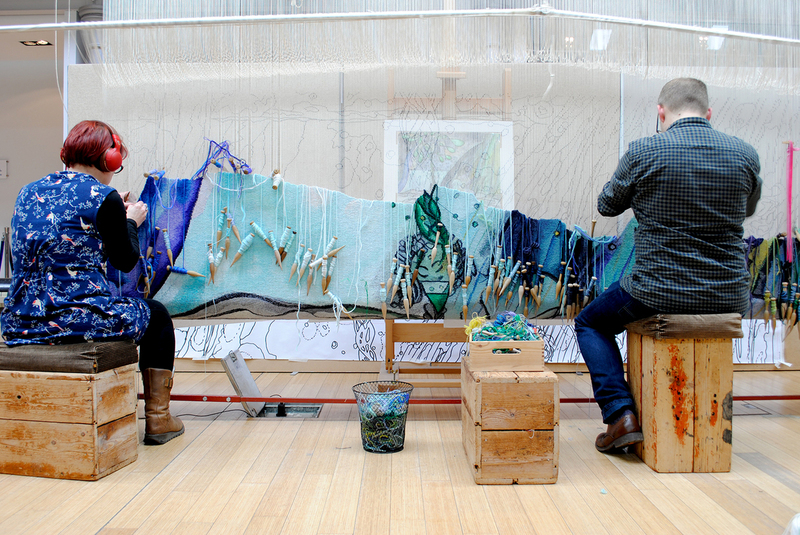 Master Weavers from Dovecot Tapestry Studio will lead a weaving workshop as part of the exhibition Chris Ofili: Weaving Magic at the National Gallery, London. The exhibition will be open from 26 April to 28 August and will feature a new tapestry collaboration between the Turner Prize-winning artist and Dovecot Tapestry Studio titled The Caged Bird’s Song. Weaving the Magic workshop will give attendants the opportunity to discover the creative process of weaving a tapestry, as Master Weavers will talk about the process of creating a handwoven tapestry to the design of Chris Ofili. The session will include a weaving demonstration and a tour of the exhibition. Participants will also be able to try their hand at weaving on a sample loom. For more details about the programme and bookings, please visit the National Gallery’s What’s On page.